Pour Moi is the leading coffee shop vending concept from Aimia Foods, we’re delighted to launch a brand new range of Limited Edition 12oz paper cup designs for 2018. 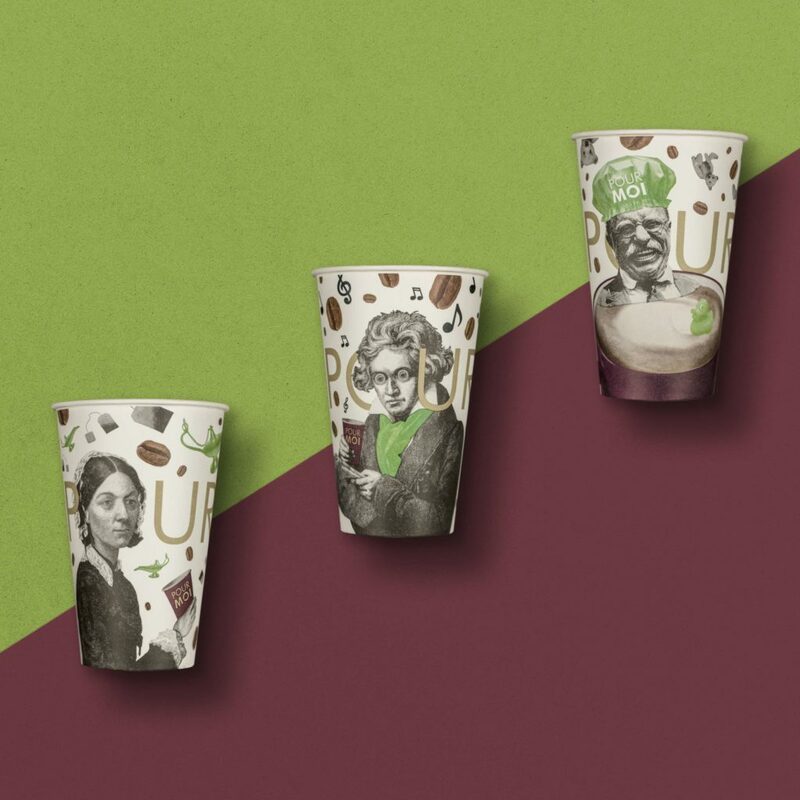 Highlighting historical figures that are famed for their passion for hot drinks, the new ‘Fuel for Inspiration’ design is set to prove a real talking point amongst your customers. Comprising of three different variants, each individual design features black and white illustrations of Ludwig Van Beethoven, Florence Nightingale or Teddy Roosevelt, along with explanations of how coffee or tea has fuelled their inspiration. The coffee cup is an extremely important part of the coffee shop / vending experience. Not only does a quality cup and design give confidence to the customer about the contents inside, it also sees them make a subconscious assessment of the drink before it even touches their lips. These latest designs have been created to highlight the importance that hot beverages have played in the lives of historic characters through the years. 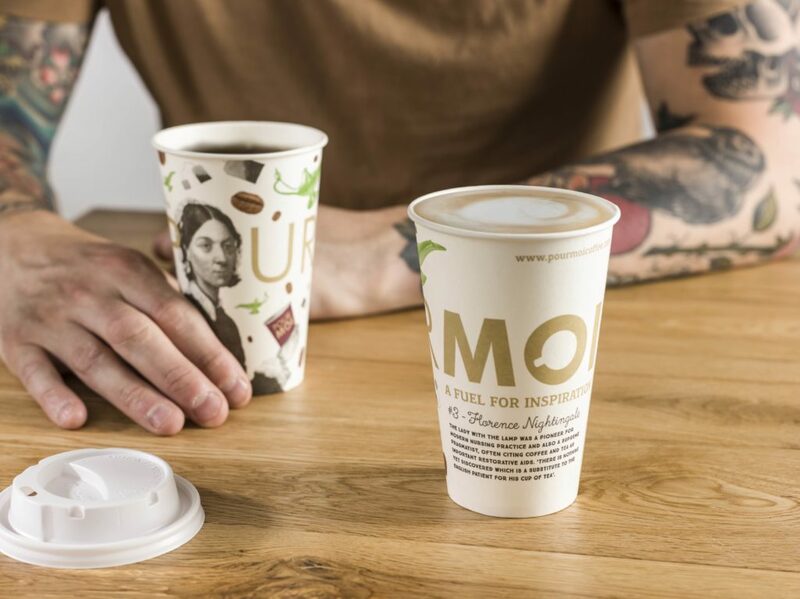 The latest Pour Moi cups are manufactured using PEFC accredited paperboard, which is the world’s largest sustainably managed forestry certification system. With individual traceability codes we can trace each Pour Moi cup back to its forest of origin. For every tree that’s felled in the making of our cups 3 to 4 saplings are planted in exchange. Our cups can also be recycled once our consumers have finished with them, via specialist recycling programmes. Many collection and recycling schemes are now coming on stream that enable this to happen and there is enough recycling resource available in the UK to ensure every paper cup supplied to the market is now recycled. Interested in offering the leading vending coffee shop concept to your customers? Make more this Summer with Shmoo Milkshakes!